Coming home is easy in this adorable hat and gown set from Milk Barn. 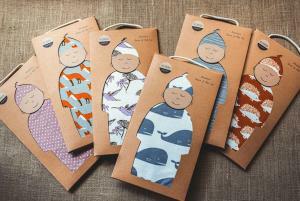 Made of 100% organic cotton, these colorful and soft options are an easy gift for any new parent! Newborns live day and night in these comfy gowns and the matching cap keeps them warm while out on walks.